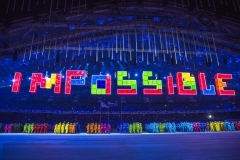 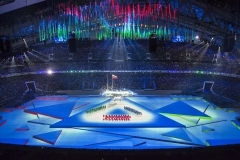 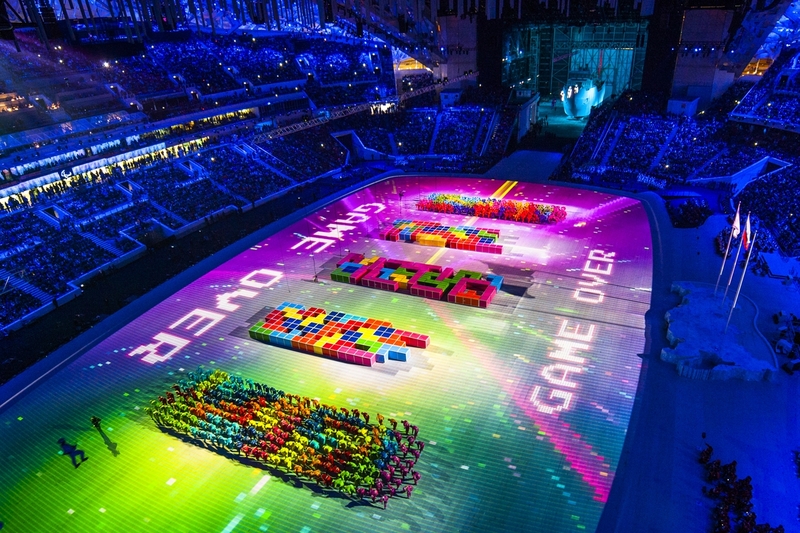 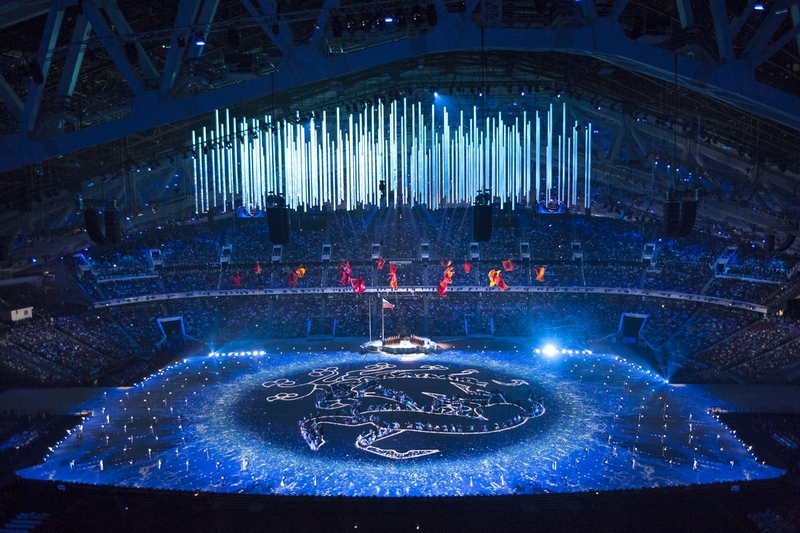 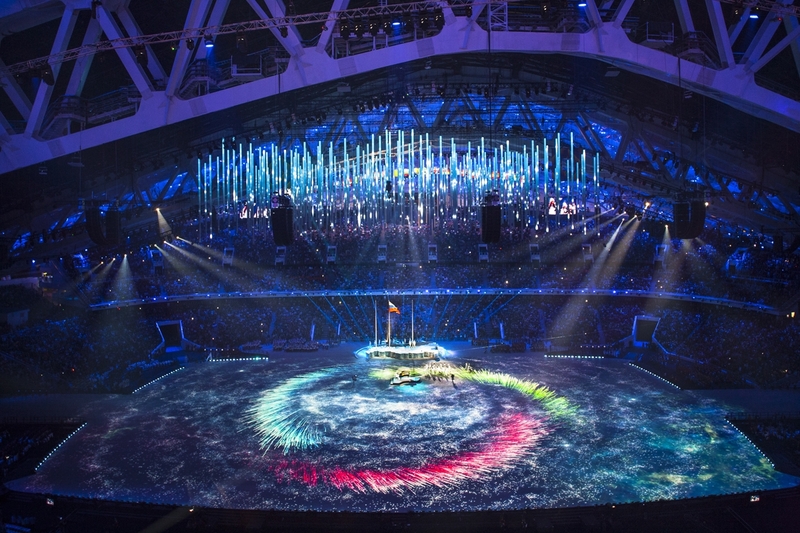 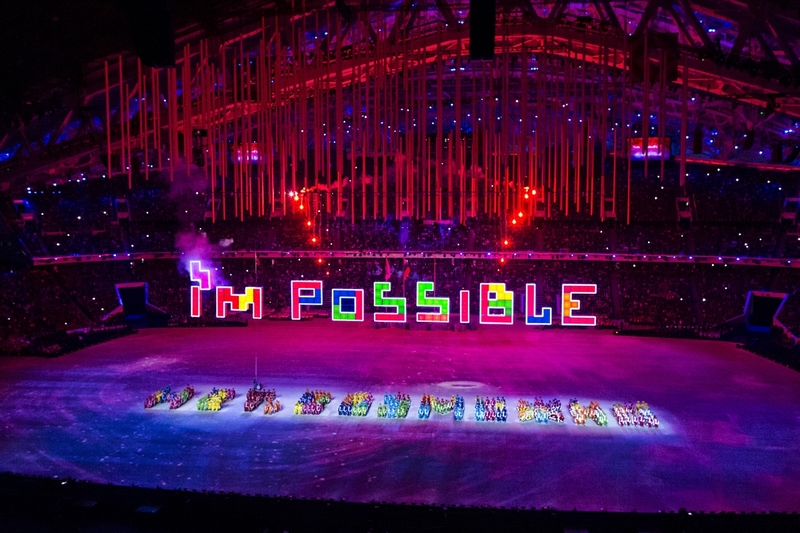 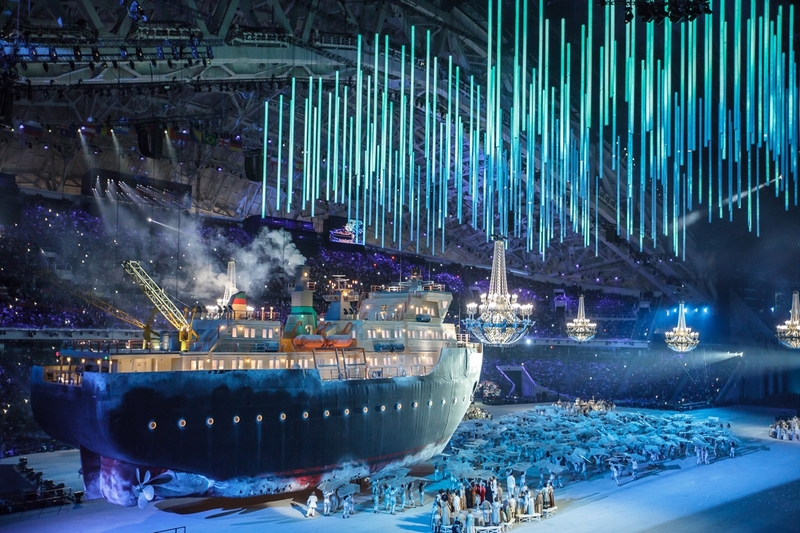 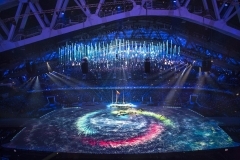 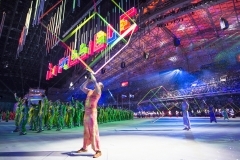 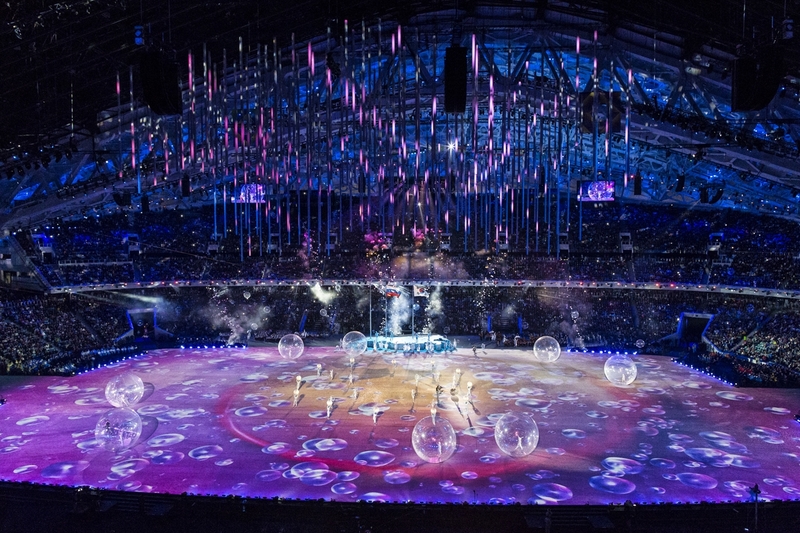 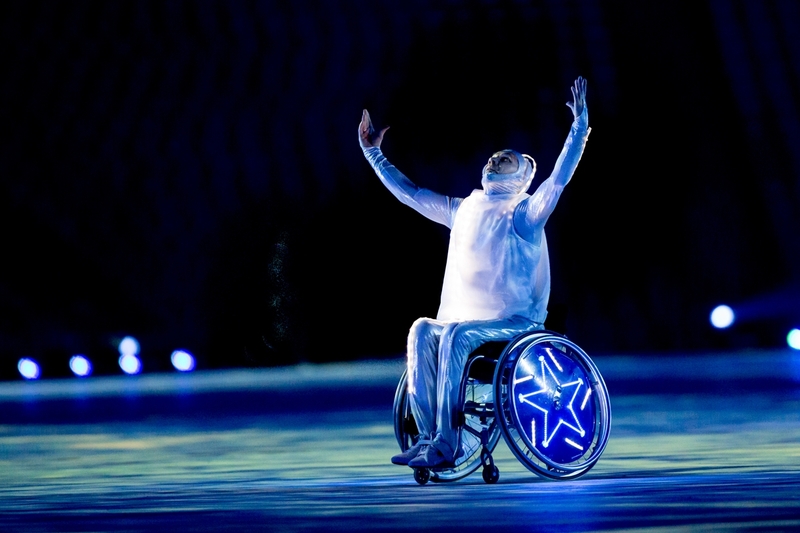 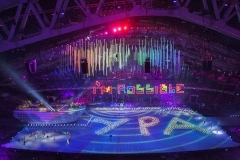 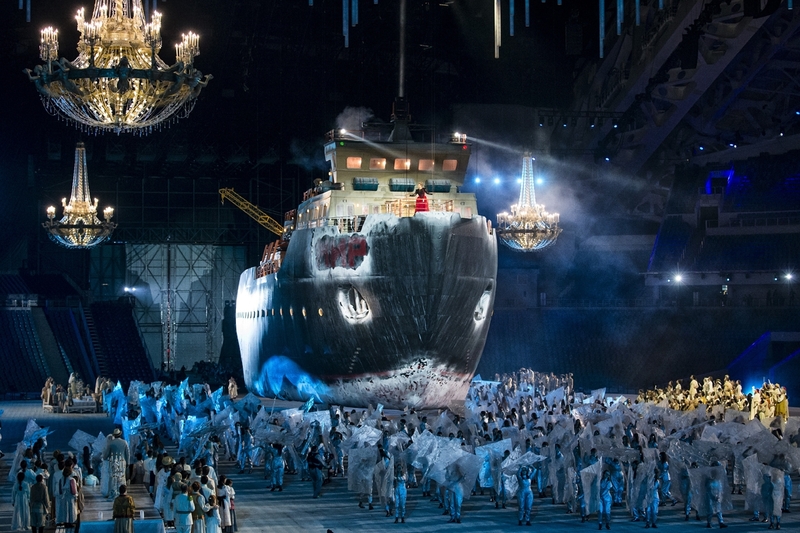 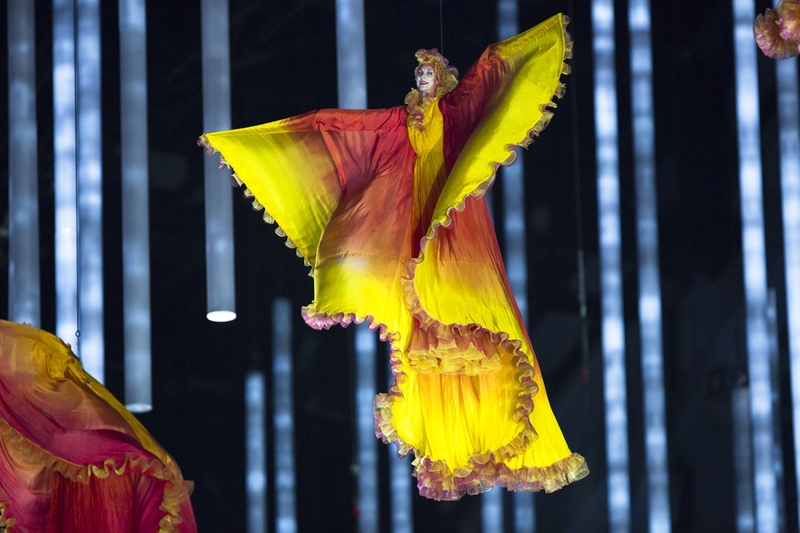 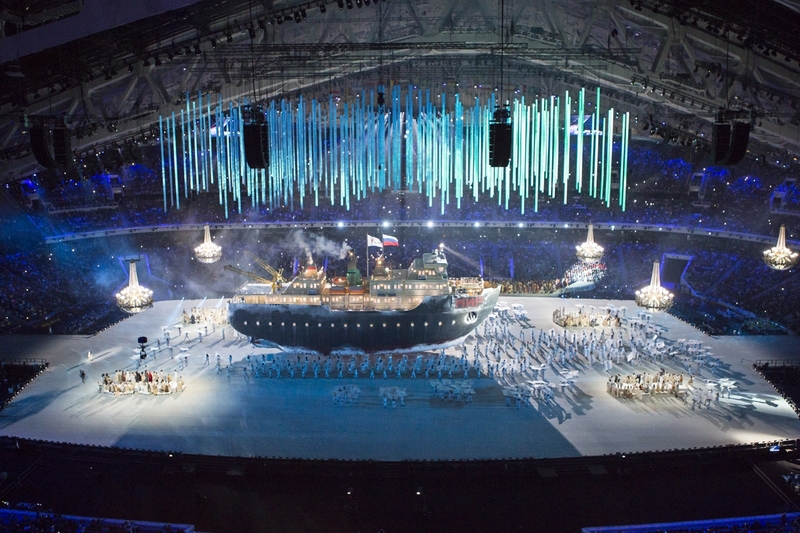 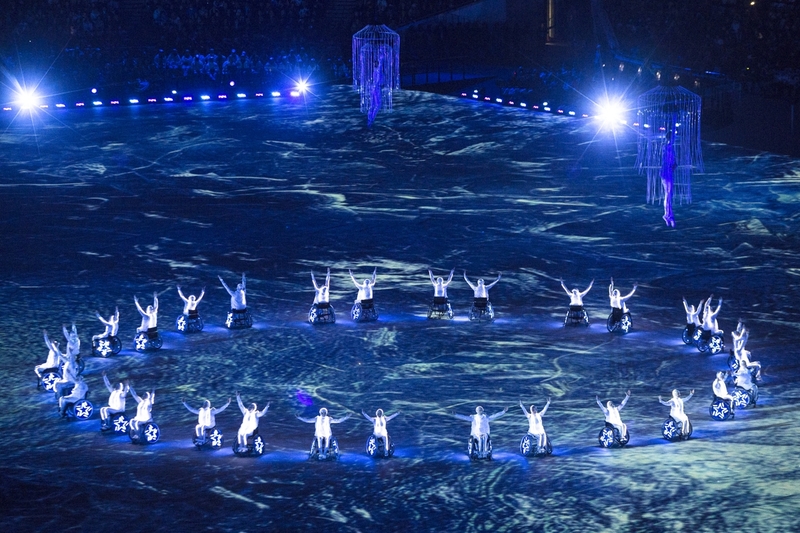 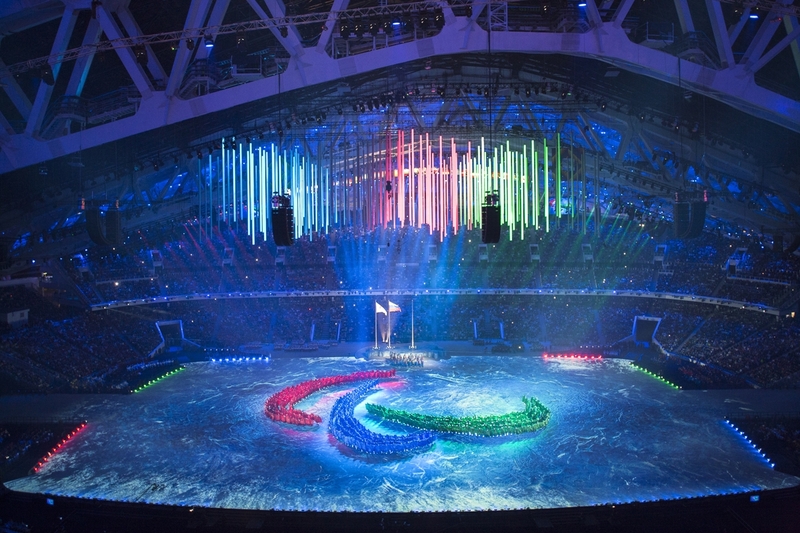 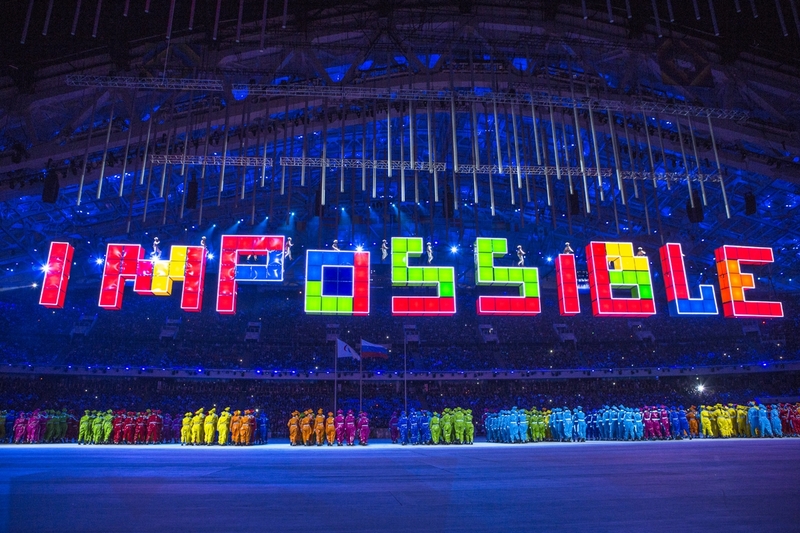 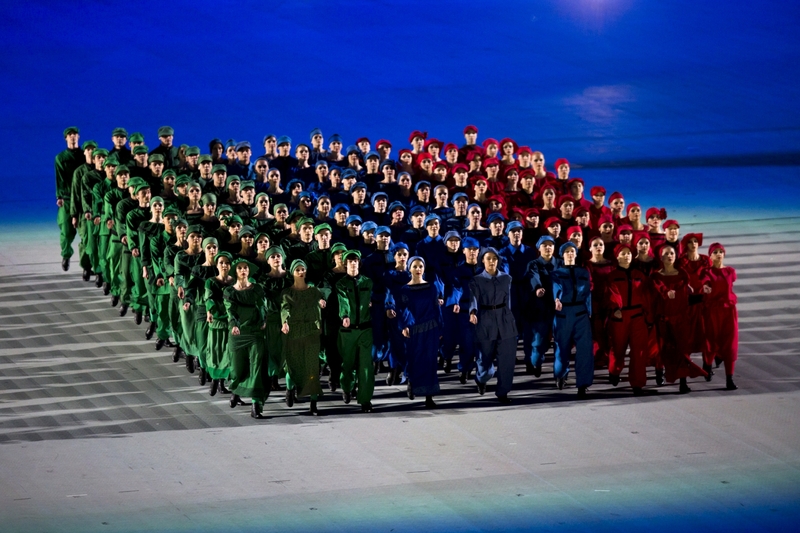 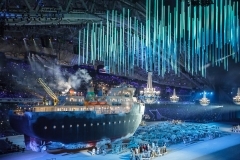 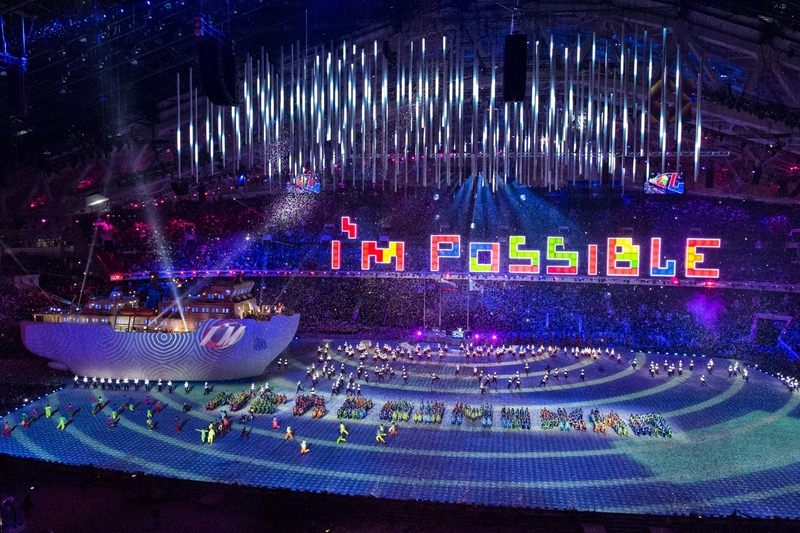 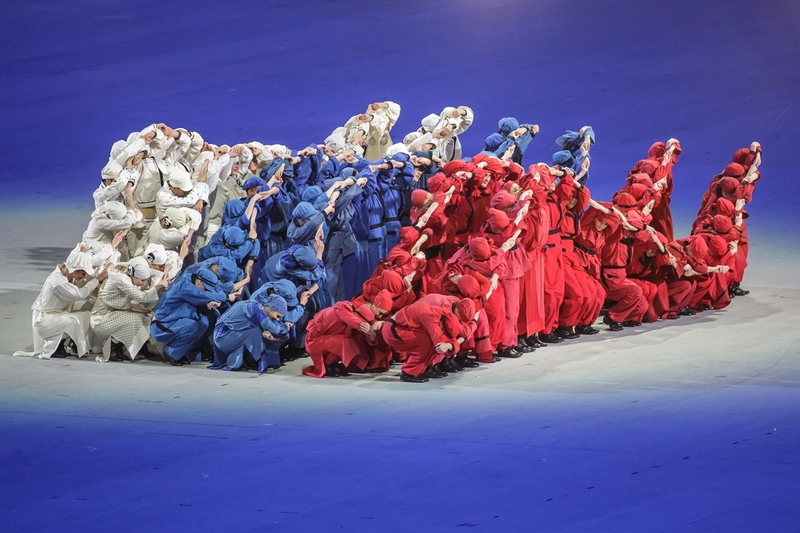 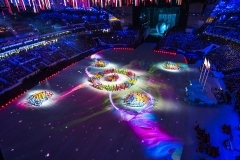 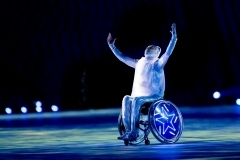 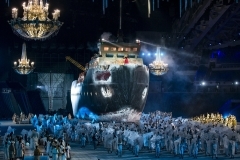 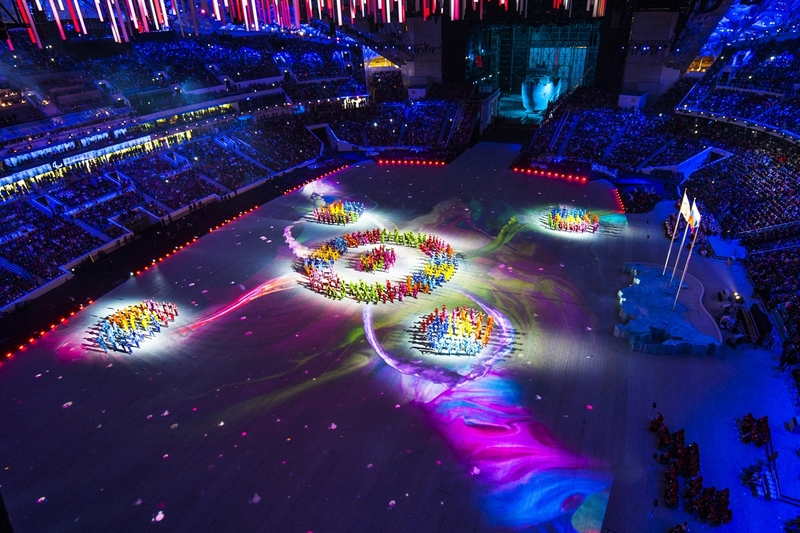 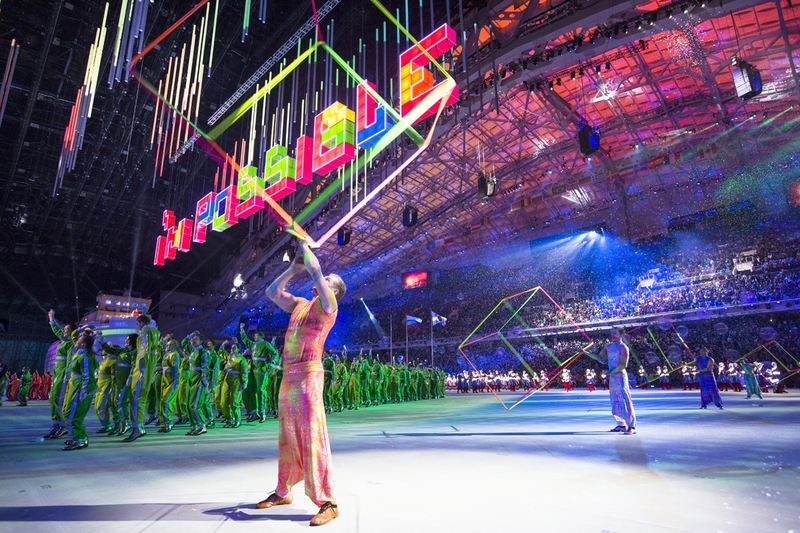 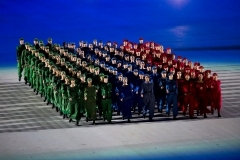 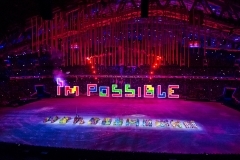 The 2014 Sochi Paralympic Ceremonies were produced by Balich Worldwide Shows. 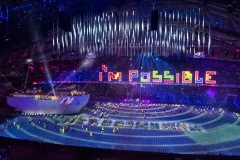 Executive Producer was Marco Balich, Co-Executive Producer was Gianmaria Serra and the Project Manager was Laura Cappelli. 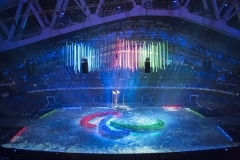 Programmers for the Paralympic Ceremonies were Andy Voller and Alex Passmore with follow spot co-ordination by Chris Henry and TV Lighting Design supervision by Nick Collier. 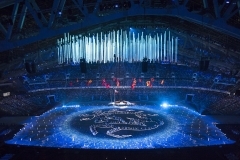 The lighting system was originally designed by colleague Al Gurdon and supplied by PRG with Rich Gorrod as crew chief and Ben Hornshaw looking after the FOH systems. 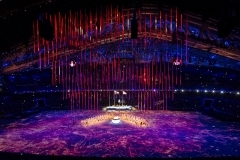 The Opening Ceremony was directed by Daniele Finzi Pasca, Associate Artistic Director was Julie Hamelin Finzi, Set and Props Design by Hugo Gargiulo, Costume Design by Giovanna Buzzi, Mass Choreography by Bryn Walters, Artistic Producer was Annalisa Barbieri, the FOP Projection Video Content was created by Cosmo, the Video Forest content was designed by Roberto Vitalini and Alexis Bowles and the Icebreaker was designed by Eugenio Caballero. The Closing Ceremony was directed by Lida Castelli, Associate Artistic Director was Doug Jack, Set and Props Design by Matteo Oioli, Costume Design by Silvia Aymonino, Mass Choreography was by Kenrick Sandy and Gina Martinez, the Producer was Jimmy Pallas, the music was directed by Diego Maggi and the FOP Projection Video content was created by Clonwerk. 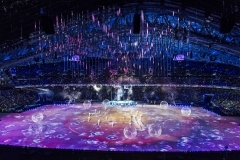 The Production team was made up of over 300 professionals from across the globe and included Production Executive Mik Auckland, Technical Producer James Lee, Technical Director Joe Frisina, Associate Producer Sam Hunter and Show Caller Julia Whittle. 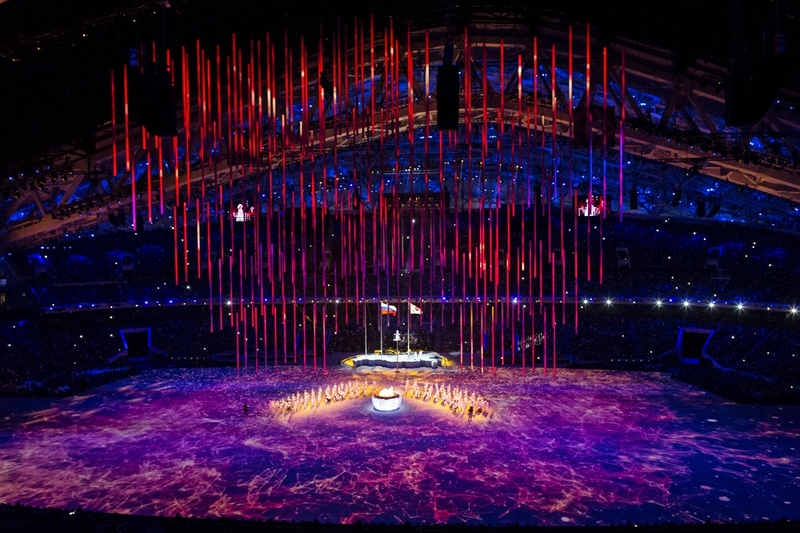 Lighting was managed by Ian Baldwin and Nick Jones, the Sound was designed by Scott Willsallen, Pyro by Eric Tucker and the Projection System was designed by Patrice Bouqueniaux for ETC.